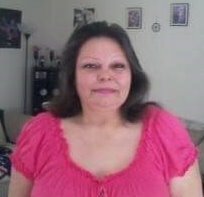 Brenda Elizabeth Beaulieu, 53 years old, of Cass Lake, Minnesota went home on Saturday, April 13, 2019 from Sanford Medical Center in Fargo, ND. She was born in Bemidji, MN on May 10, 1965 to Margaret Beaulieu and Walt A. Scott. She attended schools in Bemidji, Cass Lake and Minneapolis, later earning her GED. Brenda loved her country music and trying her luck at the casino. Those she leaves behind are her children; Jeanna Fuller of Waterloo, IA, Darrick (Rose) Beaulieu of Inger, Jessica Beaulieu of Cass Lake and Brendan (Candace) Beaulieu of Bemidji, her mother; Margaret Smith, siblings; Dallas and Kenneth Smith, Robert, Beverly and Bonnie (Joe) Beaulieu, ten grandchildren; Jordan, Damien, Devion, Darrian, Darrick Jr., Benjamin, Maggie, Lakota, Aaron Jr. and Saebyn. She was preceded in death by her father; Walt Scott and her grandparents. An overnight wake for Brenda will begin at 12:00 p.m., Thursday, April 18th and continue until her 1:00 p.m. funeral service on Friday, April 19th all to be held at the Veteran’s Memorial Building in Cass Lake, MN. Pallbearers for Brenda are Brandon Beaulieu, Robert Beaulieu, Zachary White, Rupert Olson, Ken Smith Jr. and Dallas Smith. Her honorary pallbearers are all her grandchildren. Pastor Bob Kelly will officiate. Interment will be in the Porcupine Lane Cemetery at Cass Lake, MN following her Friday service. There's still time to send flowers to the Funeral Service at the Veterans Memorial Building at 1:00 PM on April 19, 2019.